Letters in those documents allege, admittedly without direct evidence, that Silent Circle's Blackphone unit is essentially a menagerie of poor business decisions, over-optimism, and mismanagement. 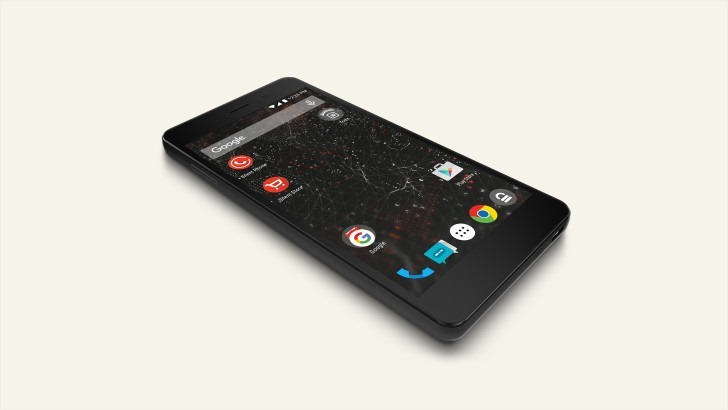 After partnering with Geeksphone on the original Blackphone, Silent Circle eventually bought out the Spanish smartphone maker's stake in their joint venture for $30 million. At this point, it seems, things went south - fast. Silent Circle claims it bought that $30 million stake in the SPG joint venture from Geeksphone because Geeksphone had told them that - hold on to your butts here - they estimated the Blackphone would make around $750 million in revenue... in 2015 alone. The reality? Blackphone's 2015 revenue sat around $10 million, one and one-third percent of Geeksphone's alleged estimate. For perspective, LG's entire mobile unit had sales of $3.2 billion in 2015, meaning Geeksphone was telling Silent Circle that the Blackphone would be as big as, give or take, a quarter of LG's entire mobile business in a single year. The truly hilarious part? Silent Circle contends in the lawsuit that they actually believed this. The SGP sales team had forecast revenue figures for 2015 of $750 million, but the firm made less than $10 million. But the “inflated” sales predictions were used to convince Silent Circle to buy Geeksphone out for $30 million. Whether or not Silent Circle is sincere is this contention, we can't be sure, but that they're willing to defend a lawsuit on the basis that they are is telling enough. It gets better: Silent Circle alleges Geeksphone told them it totally had some partnerships lined up for Blackphone distribution with mobile operators for up to 250,000 handsets. Most never panned out, with their sole customer originally being committed to an alleged 100,000 devices and only actually buying 6,000 in the end. Nice. Unsurprisingly, perhaps, Geeksphone itself was already in trouble by the time they landed the Blackphone partnership, and Silent Circle claims they were considering spinning down the whole company (Geeksphone no longer makes smartphones, and has not announced a new device of its own since 2014). Neiderman [Silent Circle's general counsel] said his employer was also unaware of Geeksphone’s own troubles. He alleged the Spanish firm was considering winding down due to its inability to shift its devices, something Silent Circle was unaware of when they combined forces. As noted in the letter, Geeksphone stopped making phones in July 2015, only a few months after the joint venture was wound down. If you're wondering how things got so bad to begin with, and why Silent Circle is now in trouble, you'd be completely unsurprised to learn the answer is "borrowing money." Silent Circle's general counsel claims the Blackphone 2's components were bought ahead largely on borrowed funds, which again, seems like an enormously poor idea. As of October 2015, the company was actively admitting to the possibility of bankruptcy according to its general counsel. "Approximately $15 million of debt has so far been committed for conversion. However, if Silent Circle cannot secure the conversion or other disposition of its remaining debt, it will not meet the conditions for closing and will therefore be forced to wind down its business and seek bankruptcy protection." A new investor swooped in back in February with a $20 million infusion - which Silent Circle never announced. Likely because that deal came with strings steel cables attached, demanding the company have a plan that would result in break-even cash flow within four quarters, and that its balance sheet be cleared of any secured debt by that time. But if anything comes of that plan, it won't be with the help of a couple key personnel: Silent Circle's CEO left in June, and co-founder and chief cryptographer Jon Callas departed in May. Silent Circle's chief strategy officer says the company is not currently looking to file bankruptcy, and strongly hinted that, if there is a Blackphone 3, it will be made with a partner, not in-house. Assuming they even get that far.